Today, I'm playing in the Tag You're It! 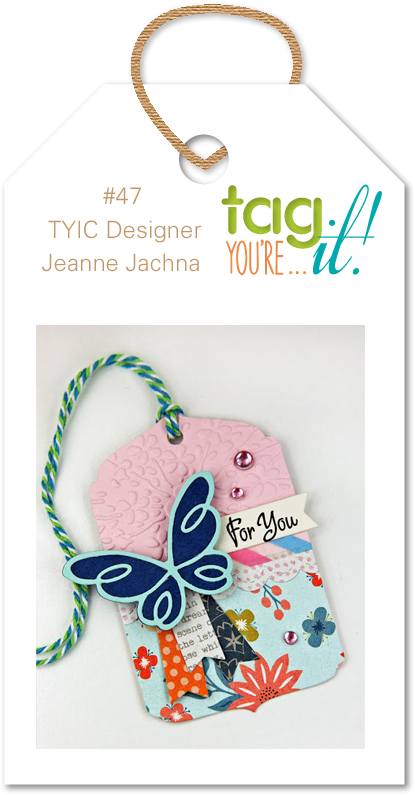 Challenge #47 where Jeanne provided a layered and colorful tag for our inspiration. For my tag, I captured most of the colors (pink, orange, green, blue) and butterfly. So cute! Love the trail of bling! Great job, many thanks for joining us at Tag You're It Challenge. Ohhhhh...swooning over your colour combination; coral, pink and mint is delicious! And your butterfly, with sparkles, is gorgeous! Thank you for sharing your creativity at Tag You're It!